How to Transform Your Local Park Into a Fantastic Outdoor Event Space. With the summer weather, we find many opting to host their social gatherings amongst the blissful greenery of the local park. However, planning outdoor events in a park can be a difficult process; requiring more preparation than you may think. Below, we have outlined the best ways to transform your local park into a fantastic outdoor event space. A level of shelter is important for every outdoor event. It offers shade in the sun, protection from the rain and a haven to hide from the wind. Shelters like marquees are a perfect way to transform your local park into a fantastic outdoor event space as they offer a nice place to eat, socialise and relax. After all, the last thing you want is a forecasted rainstorm without shelter causing your friends to leave and running the risk of damaged equipment. To book a marquee hire in Melbourne, contact Marquee Monkeys today! 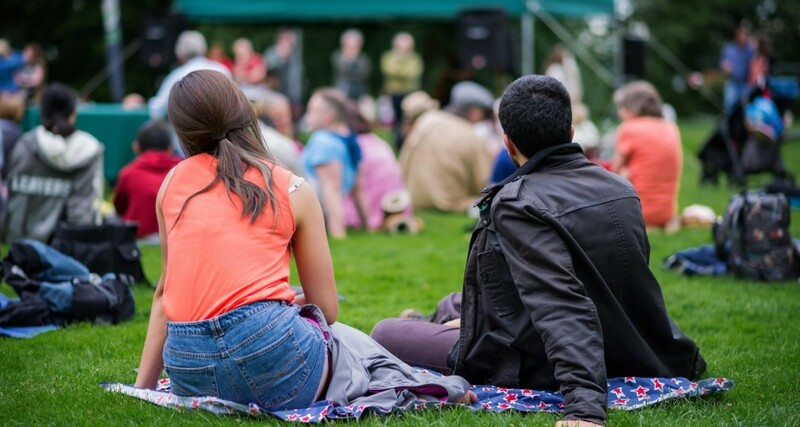 Bringing along a speaker and playing some music is always a great way to transform your park into a fantastic outdoor event space, whilst also avoiding any uncomfortable silence. It is found that music has a big effect on our intellectual and social processes and can help establish a friendly social atmosphere. One thing to note regarding music in a local park is noise regulations. You need to ensure that you adhere to the State Environment Protection Policy, which sets the acceptable levels for off-site noise. It is also wise to play music that doesn’t involve any profanity or explicit language that may warrant complaints from other park users. The addition of a BBQ is a great method of transforming your local park into a fantastic outdoor event space. Providing hot food like burgers and hot dogs as a tasty food option is a great idea. It also offers a substantial food option amongst the typical snack like options provided at social events. Providing a portable toilet or a renowned, ‘Portaloo’ is another clever method for transforming your park, as it provides more comfort to guests, knowing that there is a toilet facility in close proximity. The very basic need of every person is to use the toilet and it becomes important to keep in mind the sanitation of your guests. If there isn’t a restroom or not enough restrooms, your guests will not be able to enjoy the event and not be comfortable there at all. It is clear that there are many things to consider when hosting your next outdoor occasion at a local park. Following the guide above will ensure the transformation of your local park into a fantastic outdoor event space. At Marquee Monkeys, we are one of the leading providers of marquee hire in Melbourne. So, the next time you need shelter for your outdoor event, contact the marquee hire experts!